These days life is so crazy busy! Being in that ‘sandwich’ generation, where my parents are aging and I have a school-age child, it’s harder and harder to find the time to prepare healthy snacks. Usually, on my way to workout at The X-Project, I grab a banana and a protein bar and head out the door. 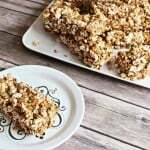 When I found this recipe for Popcorn Snack Bars in my All You Magazine, I checked the nutrition information. 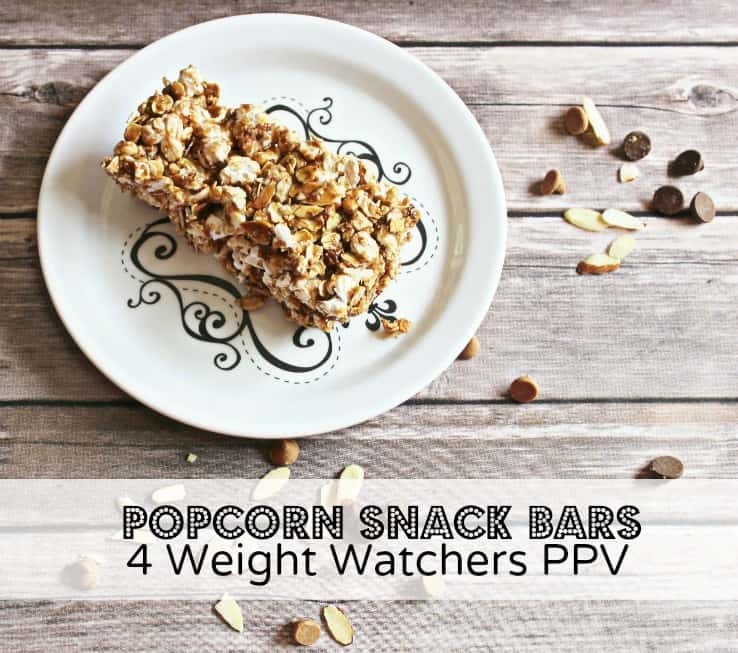 At only 4 Weight Watchers Points Plus Value per bar, I was compelled to make them! Preheat oven to 350 degrees. Spread coconut on an ungreased rimmed baking sheet and bake until lightly toasted, stirring once or twice, about 5 to 10 minutes. Transfer to a bowl to cool. Wipe off baking sheet and spread almonds on it. Bake until golden brown and fragrant, 5 to 7 minutes, stirring once or twice. Transfer to bowl with coconut to cool. Mist a 9"x13" baking dish with cooking spray. 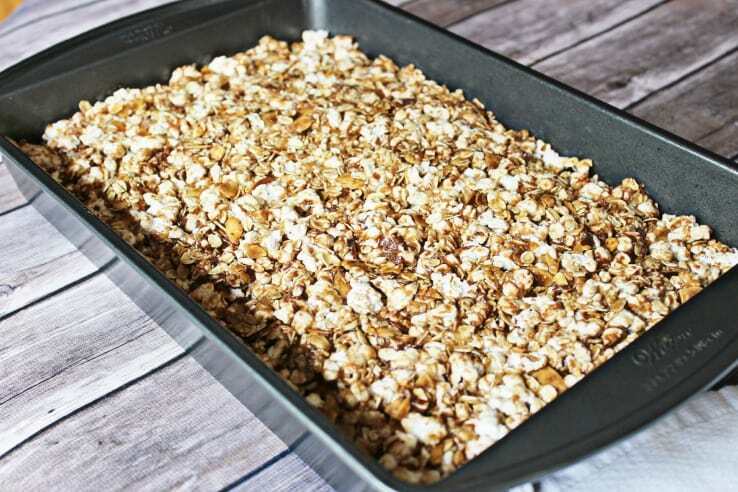 In a large bowl, combine popped popcorn, oats, coconut, almonds, & chocolate chips; stir well. 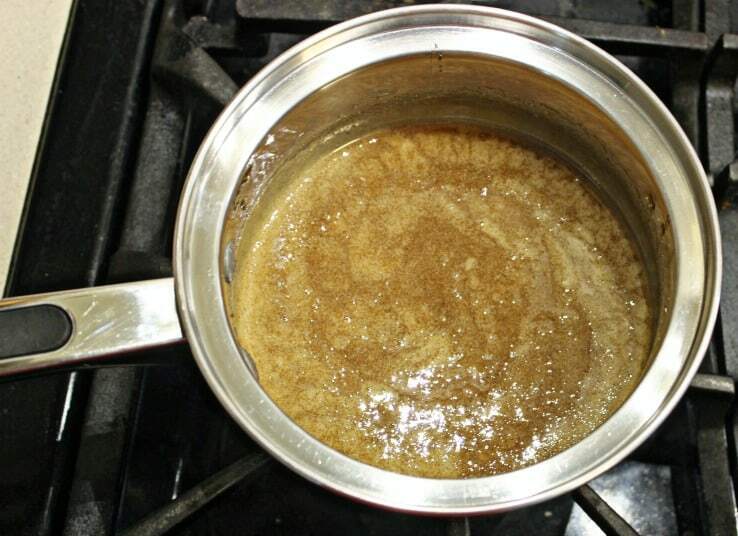 In a small pan over low heat, combine honey, brown sugar & salt. Cook, stirring, until sugar dissolves, approximately 5 minutes. 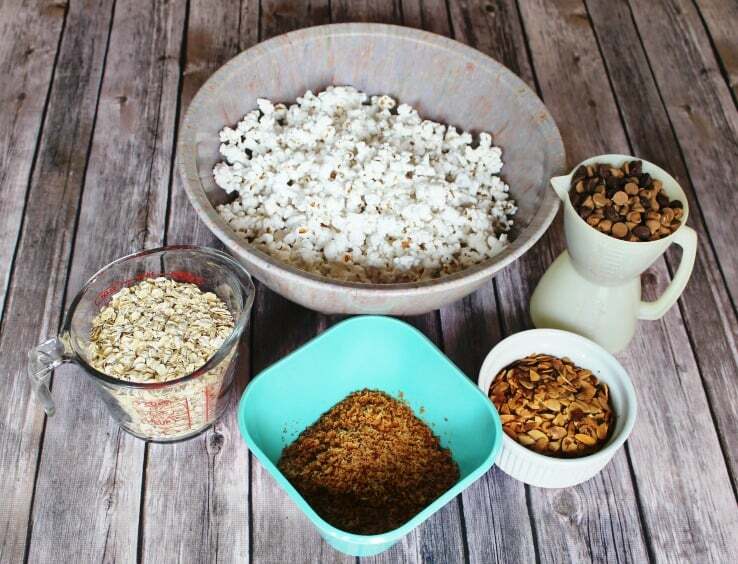 Pour honey mixture over popcorn mixture; stir until all ingredients are well coated. Transfer mixture to baking dish. Using lightly moistened palms, firmly press mixture into baking dish. 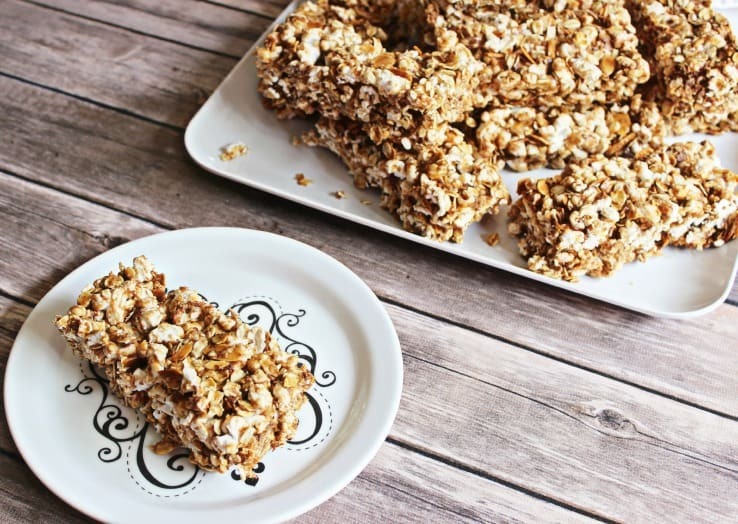 Refrigerate for at least 30 minutes before cutting into bars. I changed the All You Magazine recipe up a little bit. Instead of adding raisins and dried apricots, I used Peanut Butter & Milk Chocolate morsels. Turns out there are actually less carbs in the morsels than there are in the raisins & apricots. 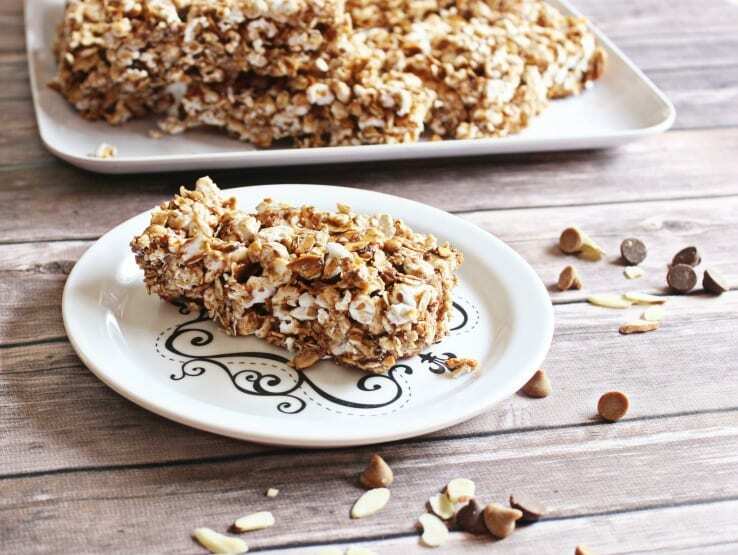 Toasting the coconut and almonds really added a nice flavor to the snack bars. The honey & brown sugar syrup ‘glued’ the rest of the ingredients together. These were extremely easy to make! AND the recipe made a LOT! I cut 14 bars instead of 24 because I wanted them to look similar to the protein bars you buy in the grocery store. But mine were a lot thicker. 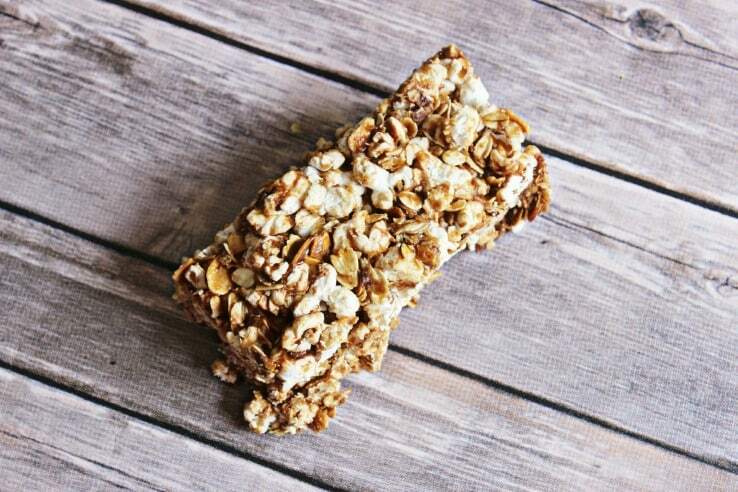 If you cut less bars, remember to add more Weight Watchers Points Plus Value to each bar. Each of my bars was more like 6 WW PPV. Because I’m a chocolate-peanut butter fanatic, I LOVED swapping out the raisins & apricots for the chocolate-peanut butter chips. 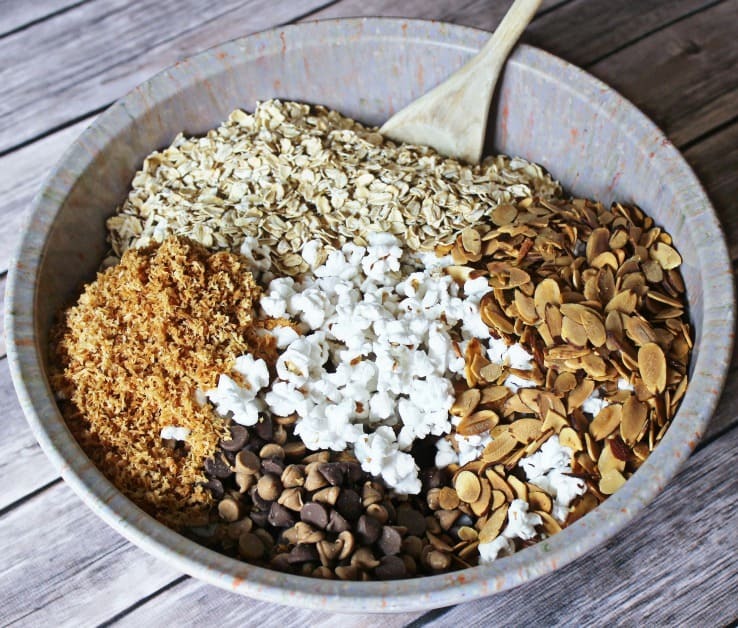 You can really experiment with this recipe to add in your own favorite flavors. 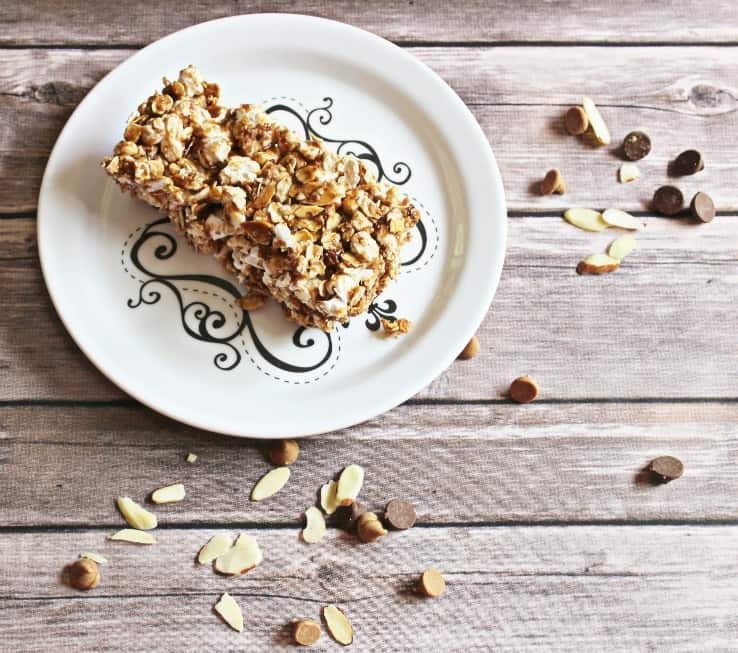 Cut these puppies into bars and put them into ziplock baggies and you’ve got yourself some great guilt-free, on-the-go snack bars! They were yummy! Thanks for letting me sample!